Once a fashion faux pas reserved for tourists and busy, on-the-go parents, the fanny pack has triumphantly made a comeback and is now cooler than ever. 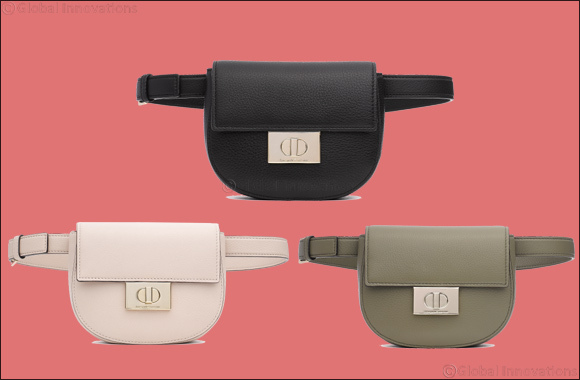 Dubai, UAE, April 10, 2018: Small belt bags are the stars of Spring 2018 and all the cool girls are wearing them. Bella Hadid demonstrated a new “cool-girl” way to wear the bag and even draped it across her chest. Kendal Jenner and other celebrities are seen wearing stylish waist bags while walking down the street in style. kate spade has a stylish girly selection of Rita belt bags that you can wear sideways or around your waist to help you pull off the cool girl look when you’re walking down the street.